Rice is Japan’s staple diet. Consequently, Japanese folks are strictly particular about it. You can rest assured that Japanese rice cookers boast high quality. If you want to cook sumptuous rice either for yourself or for family and friends, then you must buy the best Japanese rice cooker. 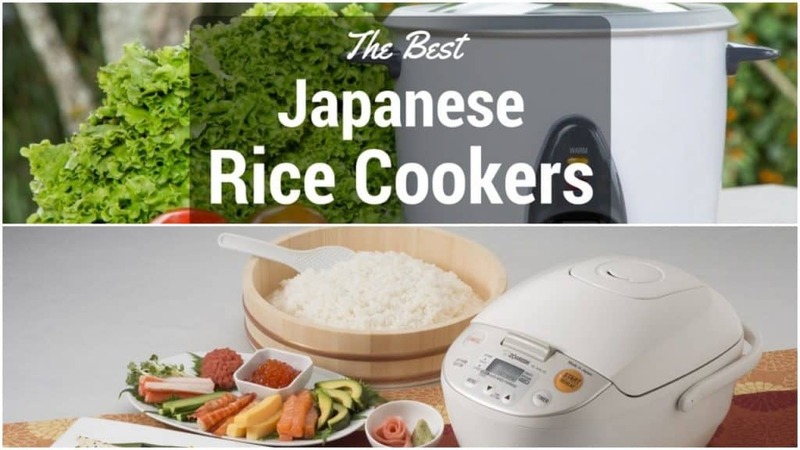 The Japanese rice cooker brands featured here range from expensive to inexpensive. It all depends with your financial muscle. What’s the amount of rice you intend to cook at a time? You can purchase the one with a big pot for family dinner. Such a type will help you cook rice that’ll last you for the entire week. The various capacities of the best rice cooker normally range from 0.5 to 10 cups. Of great importance to note is the fact that cup sizes are measured in uncooked Japanese cups. The cups are six ounces in comparison to those in the United States that are eight ounces. 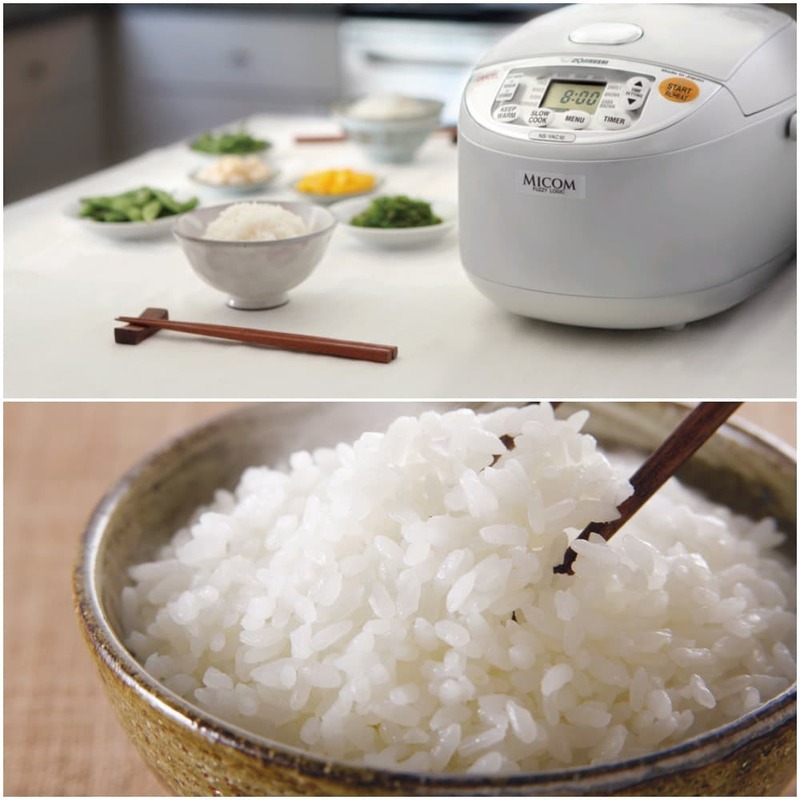 If you want to cook plenty of rice real time, then you should settle for a family rice cooker with a family-sized wattage. Watts normally indicate the appliances’ cooking speed and power. Most if not all bigger rice cookers feature wattages in the range of 600-900watts while the smaller ones are around 300watts. Most of them have the ability to churn out white rice in approximately 50 – 60 minutes when at full capacity. The last thing you can ever want is for your food to be cold while you store it. Well, with these appliances from Japan, that is the last thing you’ll ever have to be worried about. They boast the ability to keep your rice warm for extended periods of time. Some of the appliances kick in automatically. However, with others, you must toggle the function after you’ve completed your cooking. Some of the Japanese rice cookers bring with them impressive keep-warm features for addition long wait times. This is a feature that those residing in apartments will find handy. There’s no one that wants to transport heavy appliances from one location to another, whether moving apartments or houses. Weight is an effective indicator of quality. For instance, heavier units are normally made of stainless steel. The advantage of lighter units is the fact that they provide greater portability. Most of the Japanese rice cookers normally weigh around 9 lbs. The size of an appliance is an important feature to consider. This is especially true for students that reside in smaller apartments or dorms. While the large rice cookers offer greater capacity, you might prefer a smaller cooker to preserve your valuable counter space. Smaller cookers are also extremely easy to pack up this making them effortless to transport. You can choose from an array of cookers that provide different cooking settings. For example, some cookers are only effective at preparing rice. However, others bring with them some additional features that completely change the cooking and heating process for things such as steaming vegetables or making grains like quinoa or rice. Some rice cookers are even able to make porridge or cake. Do you like using or cooking different kinds of rice? If yes, then having these cooking settings might help you obtain the ideal texture every time. There’s no doubt that it’s worth experimenting. 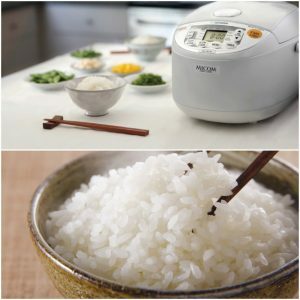 Have you been thinking of buying Japanese rice cooker in the USA? Ever desired to bake a cake using a rice cooker? If yes, then this Japanese-made rice cooker is your ideal choice. It brings with it an impressive cake setting on top of settings for mixed rice, brown rice, sushi/white rice, steaming, and porridge. The fact that it is multi-featured means that you can enjoy the warm function. While it works automatically, you can opt to set a reheating cycle or extend it. To assist you to utilize the steam setting, the rice cooker boasts a BPA-free steaming basket, a rice measuring cup, spatula holder and rice spatula. It also boasts the microcomputer ‘fuzzy logic’ technology that adjusts the steaming time and raw pre-soak time depending on your choice of cooking setting. The appliance has an inner container that’s made from a non-coated aluminum, which is extremely easy to clean and remove between uses. If you are one of the people that desire to regularly serve not only rice but also any kind of grain, then this stainless steel Japanese rice cooker Zojirushi is your perfect choice. The Japanese rice cooker Tiger is not only multi-featured but it also incredibly powerful. It employs a microcomputer to control the process of cooking. It’s possible to select from an array of settings such as steam, slow cook, multi-grain rice, brown rice, sweet rice, mixed rice, porridge, quick rice, and plain rice. The unit is computerized to handle the intricacies of various rice types. This stainless steel Japanese rice cooker Aroma brings with its settings to cook brown or white rice. You can also use it to slow and steam cook functions. The appliance comes with a steamer basket insert, a measuring cup and rice spatula. With this equipment, you can be able to set a delay of roughly 15 hours. Its water reservoir helps drain the excess condensation during the process of cooking. There’s no doubt that this is one of the best Japanese rice cookers. The appliance does not have any frills. You need to use the measuring cup included to portion out rice and pre-soak it for the desired fluffiness. Finally, add it to your cooker and allow it to cook thoroughly. In this entire list, this is the lightest appliance. It’s an ideal choice for anyone that is on the move. It brings with a spatula. One of the best attributes of it is the fact that it shuts off on its own. This appliance brings with a big and very easy to access LCD screen. It brings with it a BPA-free cooking plate for purposes of steaming. Upon purchase, you also get a rice spatula. The fact that it can handle massive rice amounts makes it ideal for large households. It features a synchro-cooking function by the name ‘tacook’ that allows you to steam ingredients contained in the basket as the rice cooks simultaneously. One of the things that constitute a Japanese meal is delicious rice. A major factor behind this the brilliant performance in the rice cookers. With the above-featured rice cookers, you’re guaranteed of cooking the best of the best rice.